With technology improving out lives and LG staking its claim on innovation, the Korean giant recently introduced a different kind of closet you can walk out of, looking smart and sharp (just like Lee Min Ho does). 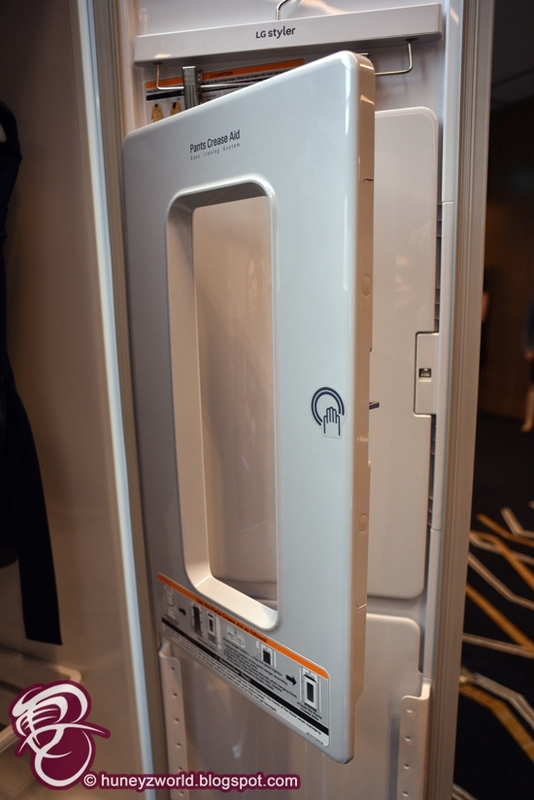 First appearing at CES 2015, I've already had my eye on this steam closet - LG Styler. 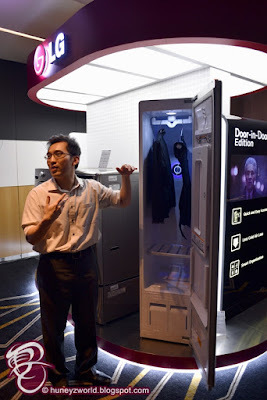 A tiny closet that is 1850cm tall, 445cm wide, and 585 cm deep, weighing 180.8lbs, this is one closet where you hang your clothes in and it can steam away odors, remove allergens, and shake out wrinkles. 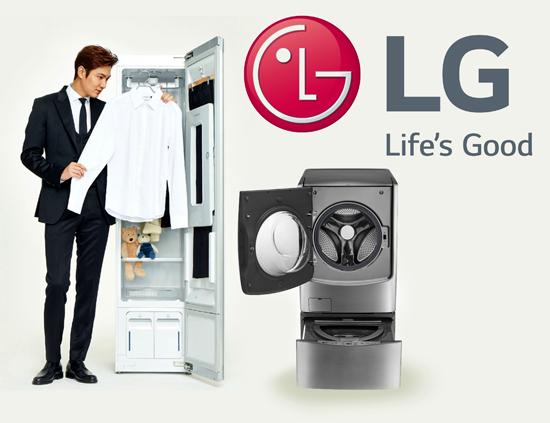 The LG Styler can be part of your wardrobe combination in the bedroom or placed at the walkway or yor home's entrance. Literally it's so compact, you can have it anywhere! 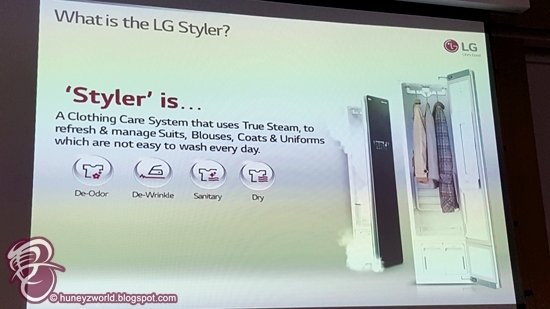 It draws water from a tank at the bottom (the user fills it up), generates steam using a heat pump, and then releases it onto clothing, that's the beauty of the LG TrueSteam™ technology. There's also replaceable dryer sheets for you to choose you favourite scent for your clothings. 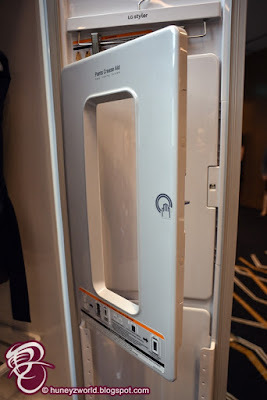 In addition to its steam spray capabilities, the Styler is also equipped with the Moving Hanger, which gently shakes clothes to remove wrinkles, leaving them looking crisp. When activated, the hanger operates at 180 revolutions per minute, eliminating any odors and also evening out the crease in the process. 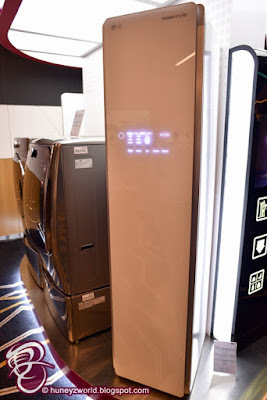 Meanwhile, the Easy Pants Crease Care feature on the back of the door, helps remove the wrinkles formed behind the knees after a long day, and leaving a perfect crease down the center of each leg. It's not 100% creasefree, but at least presentable enough to head on out the door. 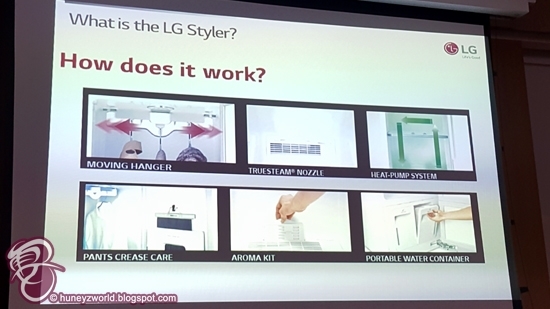 The Styler has been designed with the consumers’ needs in mind, helping us save time, having to keep running over to a laundry store and also considering our limited living space, there is also the nifty feature - Gentle Dry with Inverter Heat Pump System. 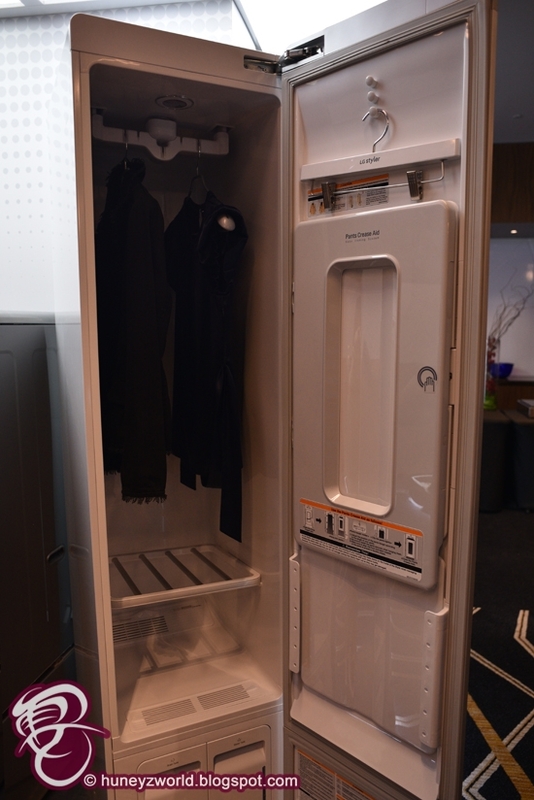 You can now gentle dry special-care clothing without worrying about shrinkage or damage. 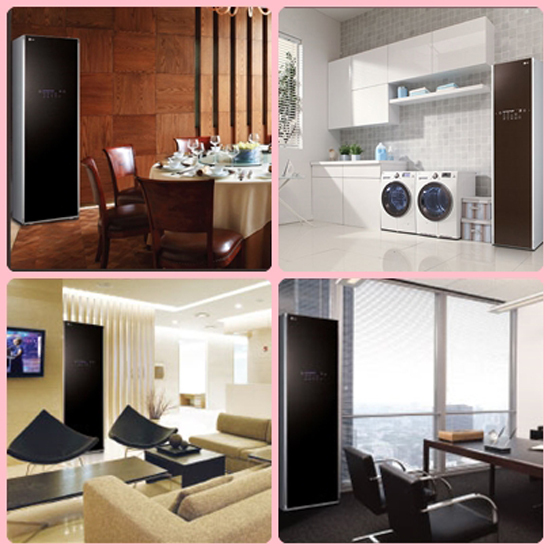 Its low temperature drying system is perfect for drying everything from towels to cashmere sweaters without the need for tumbling. While normal sundrying takes about 12 hours, the Gentle Dry feature achieves the same result within one-twelfth of the time taken. 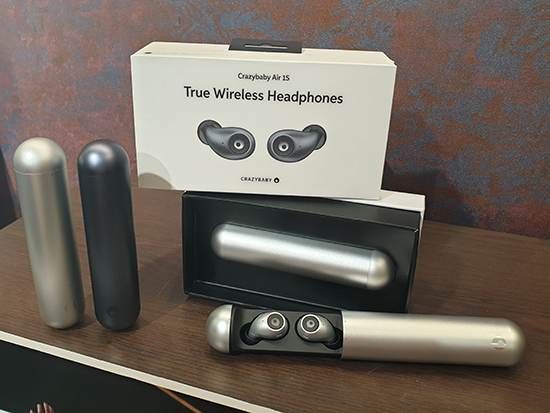 And if you ever find yourself running out of styling modes, you can use the NFC Tag On feature to download specialized cycles to your smartphones and then upload to the Styler. In addition, the Styler is equipped with the Smart Diagnosis™ feature, which can help the user quickly and efficiently troubleshoot mechanical issues, and makes customer service visits shorter and less frequent. 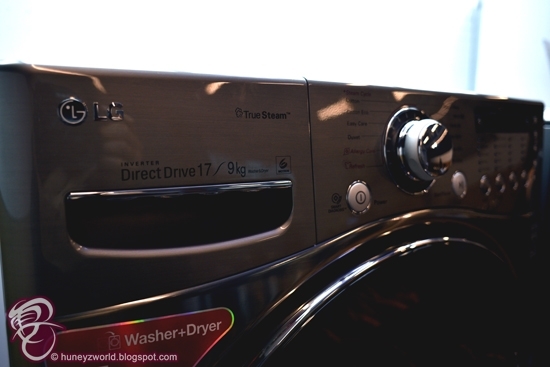 There was also a slew of washing machines introduced, from Top Load Washer (WFT1181DD) to Washer Dryer (F1408DC3W), my attention is drawn to the LG TWIN Wash™ machines. 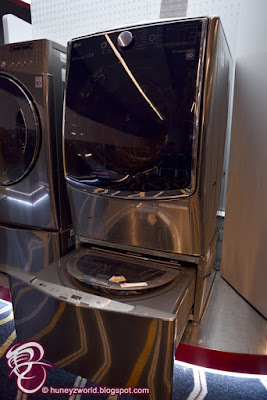 Allowing two separate loads to be washed simultaneously by combining a full-sized front loading washing machine with a mini washer in a hide-away pedestal below, not only prevents clothes from cross staining, but also allows bigger load of washes. With our growing population, yet shrinking living space, we are constantly looking for efficient helpers whilst saving space. The LG TWIN WashTM machines are ideal for large families, allowing multiple loads of laundry to be handled simultaneously and thus save tremendous time. 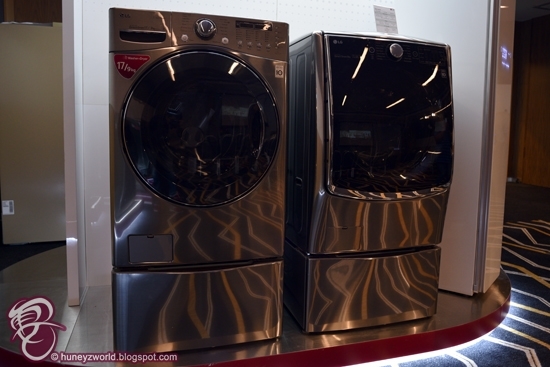 WFT1181DD (11kg) and WFT1081DD (10kg) bears LG’s new Damping System and tub design with improved stabilization technology that brings a compact washing machine with bigger capacity and saves space up to 18.4%. 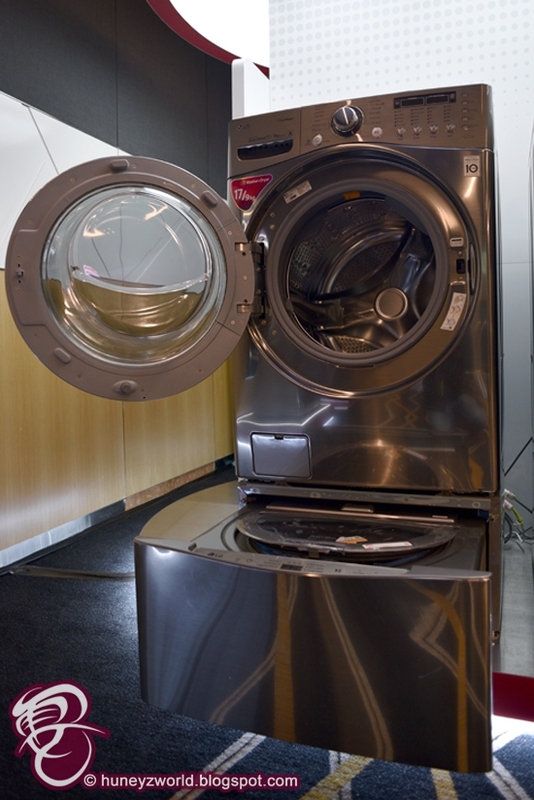 Both washers boast large capacities that can fit up to 11kg laundry and bulky items such as duvet and curtains. The size of the 10kg and 11kg washer has the equivalent size of the usual 7kg washers in the market. 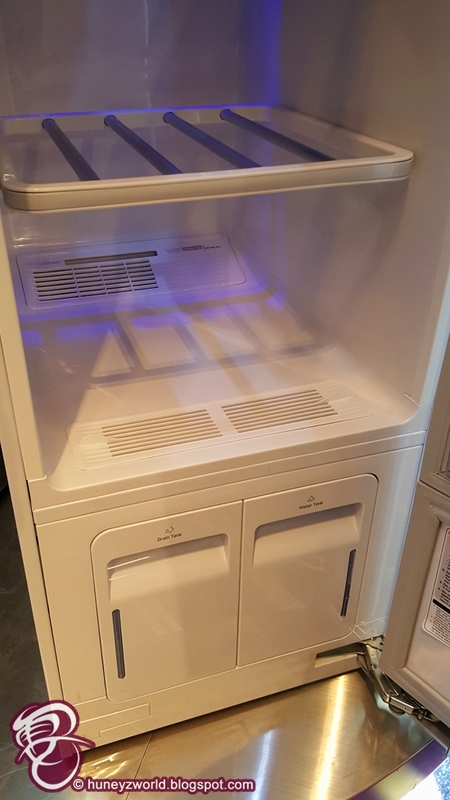 It also comes in a 10kg capacity (WFT1081DD) at a more affordable price, which is a great option for those who do not wish to have the warm wash feature which is available in the WFT1181DD. Both WFT1181DD and WFT1081DD also have a new Quick Tub Clean feature which removes odor and dirt in the drum that could be accumulated after long term usage. 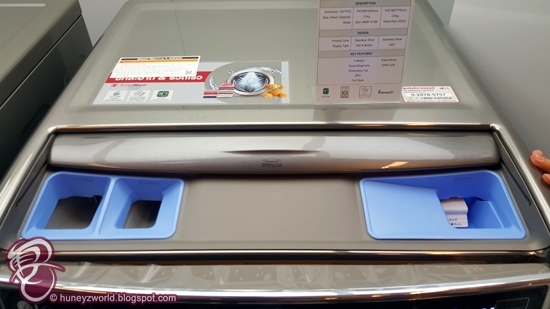 The new ‘Quick Tub Clean’ helps to clean the tub before and after washing for daily usage in just 15 minutes. 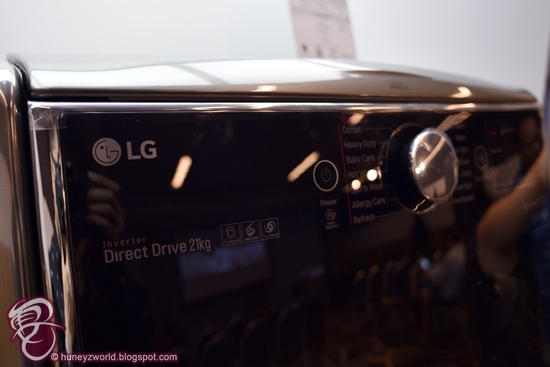 LG has also equipped its top-load washing machines with Auto Pre-Wash. 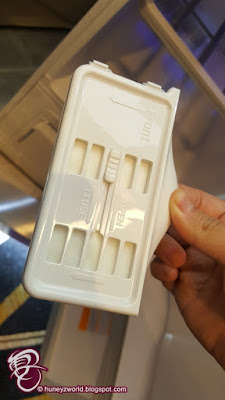 This innovative feature eliminates the need for homeowners to get detergent on their hands when applying it to each soiled article of clothing. 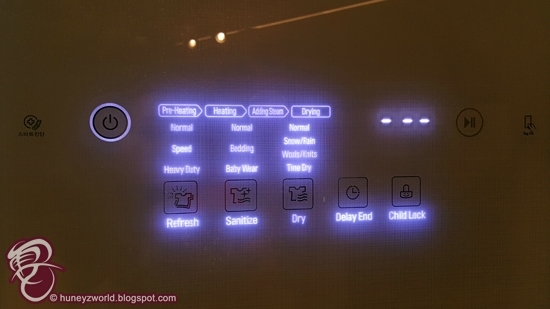 Simply select the Pre-Wash course and wait eight minutes, after which the normal wash program will begin. 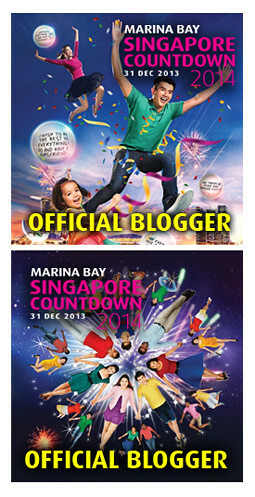 Convenient and time saving!